Former Sembcorp Marine group finance director Wee Sing Guan pleaded guilty on Wednesday to a host of fraud charges relating to currency bets he took years ago that cost the group US$303 million in losses. LionGold, which has failed to get a clean bill of health from auditors PwC for its latest full-year financial results, has sought to assure shareholders that it is able to obtain sufficient funding for its operations. Singapore Exchange (SGX) chief regulatory officer Richard Teng has resigned, less than a year after being promoted, to become chief executive of the regulator of Abu Dhabi Global Market (ADGM). 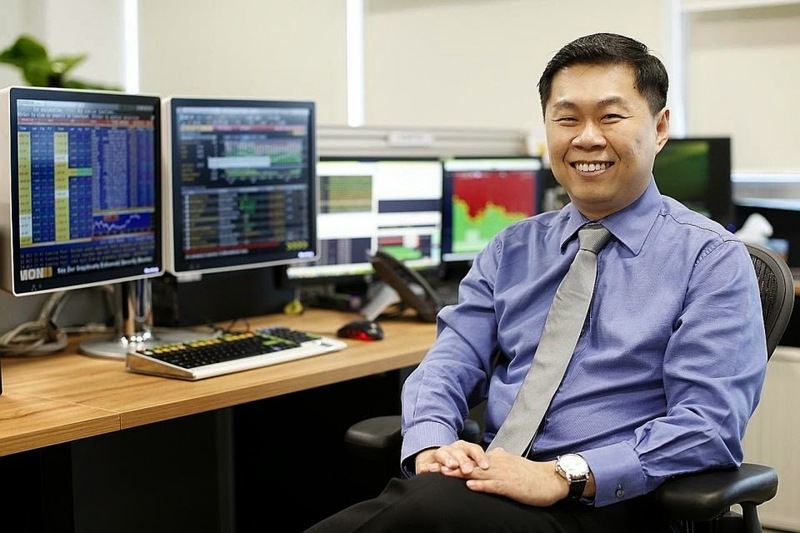 For much of this year, it has been fashionable to heap blame on Singapore Exchange (SGX) for the local stock market’s twin woes of poor liquidity and low volatility. Mainboard-listed Sino Grandness Food Industry Group on Thursday refuted claims made about the company’s health in a report that was circulated on the internet. Mainboard-listed Sino Grandness Food Industry Group, a food-and-beverage company based in Shenzhen, China, issued a business update on Thursday to counter a Sept 4 report containing negative statements on the sales and financial position of the group. Trading China Sky: What’s holding it up? It has been nearly three long years since trading in the shares of China Sky Chemical Fibres was suspended. But the company’s shareholders continue to suffer from their inability to deal in its stock despite pleas by the company to restore trading. Paid research: should SGX bother? It is 15 months since the Singapore Exchange’s (SGX) most recent research initiative known as SERI ended in June last year. According to the exchange’s website, it is still “reviewing all options to enhance the level and type of research coverage for its listed companies”. Ong Chow Hong, one of four former directors of Airocean Group who were charged and convicted over what was then deemed a misleading statement by the company, has had his five-year conviction overturned. Valuetronics shares tumbled on Wednesday on worries that the company could lose its LED lighting business as a major customer, a Dutch conglomerate, announced its intention to restructure its own lighting business division. Noble Group, which on Wednesday said it has received US$3.36 billion due to it, has had its ratings affirmed at BBB- by Fitch Ratings. The response focuses on two proposed regulatory changes - the Minimum Trading Price of 20 cents and the Enforcement Frameworks that MAS and SGX first proposed in February this year. Valuetronics hit by earnings worries? The stock of electronics company Valuetronics Holdings on Tuesday collapsed six cents, or 15.8 per cent, to 32 Singapore cents on heavy volume of 26.3 million shares, an apparent casualty of concerns over its future earnings. 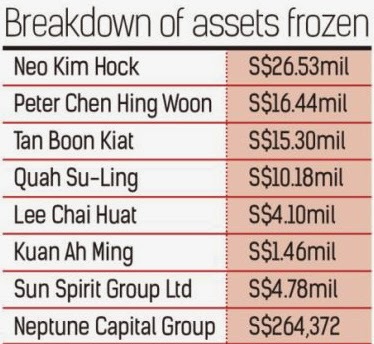 The Court of Appeal has upheld an order to freeze the assets of six individuals and two companies with exposure to the three listed companies in Singapore, which shook the stock market there last year. There are more than 30 stocks listed on SGX with a market capitalisation above S$250 million that reported more than half their revenue or assets in China in the last financial year. Aa issue over the going-concern status of forestry and pulp firm United Fiber System (UniFiber), as well as its failure to provide for default interest, led the company’s auditor to refrain from expressing an opinion on its consolidated financial statements for the six months ended June 30, 2014. Shares in offshore oil and gas stock Ezion Holdings plunged nine cents or 5.4 per cent to S$1.575, bringing its loss over the past three weeks to almost 18 per cent and taking it closer to its 52-year low of S$1.52. Beijing is in talks with Singapore and Britain to let mainland investors buy equities in these markets, a move seen as the next stage of China’s opening up of the capital account and globalising the yuan as the Shanghai-Hong Kong stock connect scheme readies to start. Fingers were pointed at Soh Chee Wen when Asiasons, Blumont and LionGold soared last year before collapsing on Oct 4. As the anniversary of the crash approaches, CAD and MAS might be getting closer to discovering what happened. Note: Some events in this article has been proven to be false. The Edge has acknowledged some of the false information. Blumont Group had commenced legal proceedings against The Edge for libel. China, the world's top coal importer, will levy import tariffs on the commodity after nearly a decade, in its latest bid to prop up ailing domestic miners who have been buffeted by rising costs and tumbling prices. The Small and Middle Capitalisation Companies Association (SMCCA) has 22 founding members, including relatively high-profile firms such as Otto Marine, Q&M Dental Group and Cordlife Group. Luxury boat maker Grand Banks Yachts is off the Singapore Exchange’s (SGX) watch-list from Thursday, marking a turnaround for the hitherto troubled firm which entered the list in 2011. Legal wrangling over the ownership of a subsidiary has made it difficult for the auditors of Magnus Energy to determine the accuracy of certain parts of its financial statements. Astute stock picking or insider trading? Fifteen years on, is Sias still relevant? Fifteen years ago, a minority-investor rights group called the Securities Investors Association of Singapore (Sias) was born out of the cross-border debacle known as the Clob saga. Mainboard-listed Sino Grandness Food Industry Group announced on Thursday that Thai conglomerates Thoresen Thai Agencies (TTA) and PM Group will take stakes of 9 per cent and 3.77 per cent respectively in the company through a private placement of newly issued shares. The Blumont Group has launched a libel suit against the publisher and editor of The Edge Singapore over an article on last October’s penny stock crash. Blumont told the Singapore Exchange (SGX) on Monday that it is seeking damages from The Edge Publishing and editor Benjamin Paul, and an injunction to stop the magazine from publishing similar claims made in the original article.